Sometimes, you just need to make a change. The New England Patriots offense got off to a slow start during Sunday’s AFC Championship Game against the Denver Broncos. And head coach Bill Belichick couldn’t have been happy. 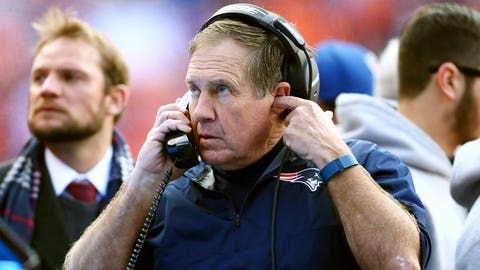 After his team went into halftime down by eight points, Belichick came out for the second half with his trademark gray hoodie on. Maybe it just got a little too cold for the future Hall of Fame coach. Or maybe he was looking for a little better luck. It didn’t end up making a difference. The Broncos held on for a 20-18 win to advance to the Super Bowl.